We're a world-class group of innovators committed to transforming the digital landscape, one award-winning experience at a time. Here at Xfinity Digital, we manage the digital properties for millions of Residential (xfinity.com) and Business Services (business.comcast.com) customers. It's a collaborative environment that values bold ideas and independent thinkers. Ours is an entrepreneurial, fast-growing team that creates opportunities to educate, and enlighten both new and existing customers. And whenever possible, surprise and delight our audiences, too. We strive to build long-lasting relationships using enhanced flows, smart features, and self-healing solutions to foster trust and loyalty with our entire customer base. Outstanding customer experience is our best product, period. You live and breathe good design. The Lead UX Designer will have a hands-on role in the design of consumer-facing experiences for new as well as existing customers. You'll help shape product benefits around user needs to create engaging and intuitive user interfaces, with both sales and customer satisfaction-driven results. As part of your day-to-day, you'll collaborate with a team that includes a creative director and other designers, as well as product, engineering, sales, content strategy, and research teams. You'll help drive the delivery of digital applications that feature outstanding user experience and elegant design aesthetics. Your passion for great user experience is contagious. - Take responsibility for the user interface: identify problems, propose solutions, recommend implementations, and execute UI solutions to improve the user experience. - Create pixel-perfect, world-class user interfaces and original, eye-catching visual design. - Have a broad experience and a deep understanding of users to recommend UI features that solve customer needs. - Deliver high quality work on tight schedules in a dynamic, agile product environment. - Produce interactive prototypes for internal experimentation and usability testing, and test UI in a rigorous, data-driven way. - Write intuitive style guides and design specifications with a focus on engineering implementation. - Support, communicate, course-correct, and revise throughout the development phase, partnering closely with the development team to ensure high quality launches. - Demonstrate a command of usability and accessibility standards in partnership with visual and interface design disciplines and principles. - Maintain a critical eye and an obsessive attention to detail. - A portfolio that showcases several recent eCommerce designs that will knock our socks off. - Bachelor's degree or equivalent in design, information sciences, or technology. - 7+ years of related experience designing internet, mobile or equivalent interactive experiences. - Superior people skills and a knack for cross-team collaboration (UX, Sales, Campaigns and Merchandising, Marketing Communications, and beyond). - Experience leading development of comprehensive and versatile digital design systems, including interaction design standardization and principles. - Experience in iconography, symbol design, and data visualization. - Expert typesetting and typographic design skills. - Deep knowledge of cross-platform web/mobile usability standards and UI specifications. - Understanding of design and technical capabilities/limitations of leading email and browser technology. - Skilled in taking a project from exploratory and conceptual version through to final production assets. - Proven ability to multi-task and execute against multiple projects running in parallel paths. Bonus points for maintaining a sense of humor during crunch times. - Ability to collaborate with copywriters and business stakeholders for successful marketing launches. - Ability to present ideas and concepts to business and executive-level stakeholders, with clear data-driven reasoning. - You'll be a key player on our overall Experience Design team which is just one part of Xfinity Digital. We reside at Comcast's corporate headquarters in the heart of Philadelphia. And yes, the cheesesteaks here are that good. 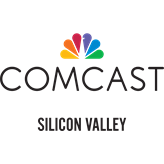 Want to get notified about new jobs at Comcast Silicon Valley Innovation Center (CSV)?